Slania Crazy! : I Found...A Possible Flaw! 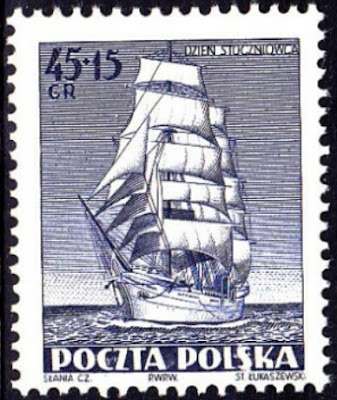 Over the past few weeks I've been working on completing Slania's 1952 Poland stamps. I have found gathering this set on my tight budget quite the challenge! 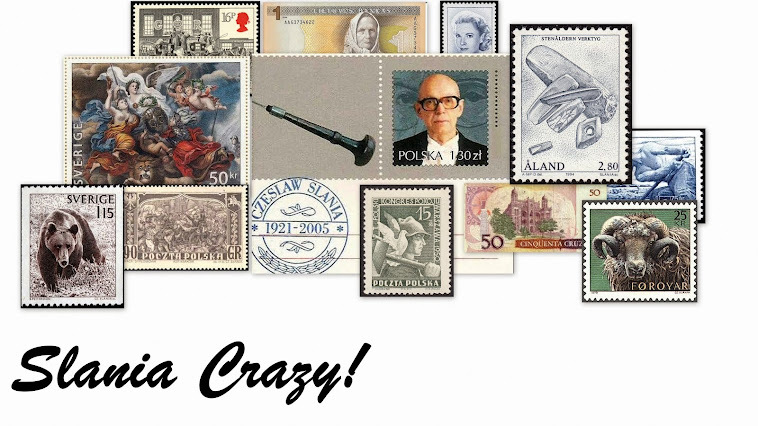 There are 21 stamps to collect for this particular year. Doesn't seem overly daunting, but when you take into account that some of the stamps are a part of rather expensive sets it becomes more challenging (and I always try to get full sets even if Slania only engraved one of the stamps). Well, I'm happy to report that - due a restless night and some web surfing - I just purchased the final stamp I required for the 1952 year set. 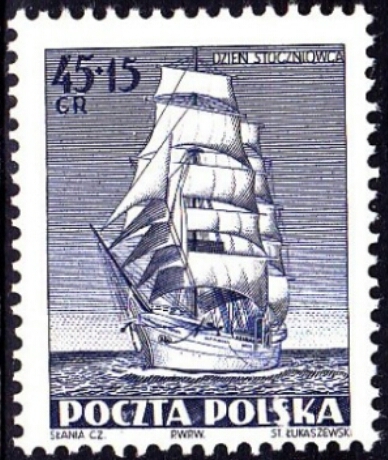 The stamp in question was the "Training Ship Dar Pormorza", which is part of a 3 stamp set entitled: Day of Shipyard Workers. After I had purchased this set I took a closer look at the Slania engraved stamp in the set. I happened to notice a small fault on the stamp around the 'S' of Polska. Now I know next to nothing about the stamps of Poland, so I guess I'm wondering is this a constant flaw or simply an ink error on this stamp? The following is an image from the seller's page so the quality isn't the best, but it's clear enough to see what I'm talking about. When I get the stamp I'll do a hi-res scan of it. If anyone has any information relating to this stamp I'd love to hear from you! For sure! I'm looking forward to getting the stamp and scanning it to have a closer look at the flaw. Just checked my various catalogues & there's nothing mentioned about this flaw, so it doesn't seem to be constant. I've been wondering about that. I don't have access to a Polish catalogue so I've been hoping someone could help me out. Thanks Rick! Hope you are enjoying the blog.